He had also sought an intervention when JNUSU leader Kanhaiya Kumar had approached the Supreme Court for bail. NEW DELHI: It's not unusual that a minor incident, if left overlooked for long, turns into a factor important enough to impede the progress of a political party. The Aam Aadmi Party, which governs Delhi with an overwhelming majority, would surely concur to that. 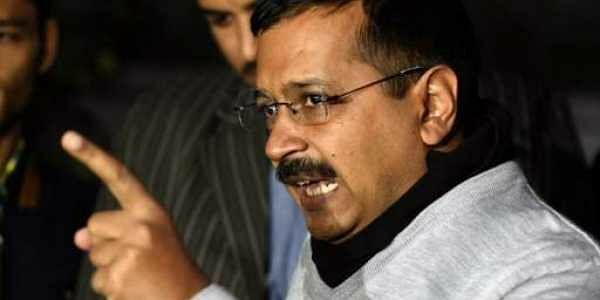 A petition filed in July 2015 by a then little-known lawyer, Prashant Patel, has now led to the Election Commission recommend the disqualification of 20 of AAP legislators in Delhi for holding 'offices of profit'. The development could set the stage for possible by-polls on those 20 seats in Delhi, where AAP has 66 MLAs in the 70- member Assembly. Interestingly, it was the first year of the now-30-year- old lawyer in Delhi, when he petitioned the president in 2015. The lawyer hails from Fatehpur district in Uttar Pradesh. A graduate in Physics and Computer Application, he did his MBA from the Footwear Design and Development Institute, Noida. Patel describes himself as a person who has an urge to work for society. The inclination made him pursue a degree in law from Chaudhary Charan Singh University in Meerut. But how did he get the idea to file a petition to the president in connection with the 'office of profit' matter? Patel said a book - 'Delhi Sarkar Ki Shaktiyaan aur Simayen' by S K Sharma, a former secretary in the Delhi Legislative Assembly - released in June 2015, has a chapter on it. "I filed an office of profit petition and it got accepted in July 2015. It was not that the BJP and the Congress appointed parliamentary secretaries. Even those appointments were illegal but no one objected to it," he said. Patel dismissed the charge that Election Commission did not provide the AAP an opportunity to hear them out. "There were 11 hearings since July 2016 to March 2017 and each hearing lasted for 2-3 hours," Patel said. Patel had to argue against senior lawyers such as Indira Jaisingh, who represented the Delhi government, and many other top legal eagles representing the BJP and the Congress. The AAP has previously dubbed Patel's petition an action taken by him at the behest of the BJP. "I am a proud Hindu and ardent devotee of Hanuman," he said. "But being a proud Hindu does not make me a BJP man. This is a matter of principles. I have nothing personal against Arvind Kejriwal or these AAP MLAs. In fact, a couple of AAP MLAs have become my friends during the course of hearing," Patel added. Patel had also sought an intervention when JNUSU leader Kanhaiya Kumar had approached the Supreme Court for bail. In 2014, he had filed a case against Aamir Khan and director Rajkumar Hirani for allegedly hurting religious sentiments through their film 'PK'. A lawyer, who deals with criminal and matrimonial cases, Patel practices at the Delhi High Court. Yesterday, the Election Commission asked the president to disqualify 20 of AAP legislators for holding offices of profit, setting the stage for their ouster from the Assembly. In its opinion sent to President Ram Nath Kovind, the Election Commission said the MLAs, by occupying the post of parliamentary secretaries between March 13, 2015 and September 8, 2016, held offices of profit, and were liable to be disqualified as legislators, highly-placed sources have said. Parliamentary secretaries assist ministers with their work. The AAP insisted that despite holding the office these legislators did not take any salaries or perks. The development does not yet threaten the AAP government. But the BJP and the Congress have demanded that Delhi Chief Minister Arvind Kejriwal resign on moral grounds.